Every generation has their own unique approach to money and personal finance. Millennials, for example, found the journey to adulthood riddled with obstacles such as stagnating wage growth and uncertain economic conditions. These challenges, combined with other generational circumstances, helped to shape the group’s spending habits and attitudes towards money and debt. 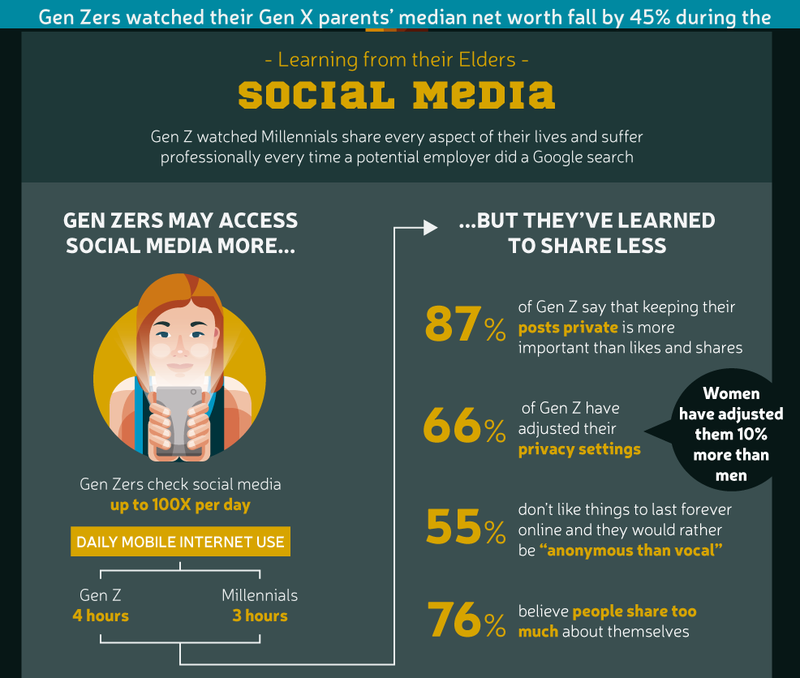 Along this journey, Millennials ended up making their fair share of financial mistakes – but interestingly, evidence is now mounting that the next generational cohort (Gen Z) is already learning from their elders. 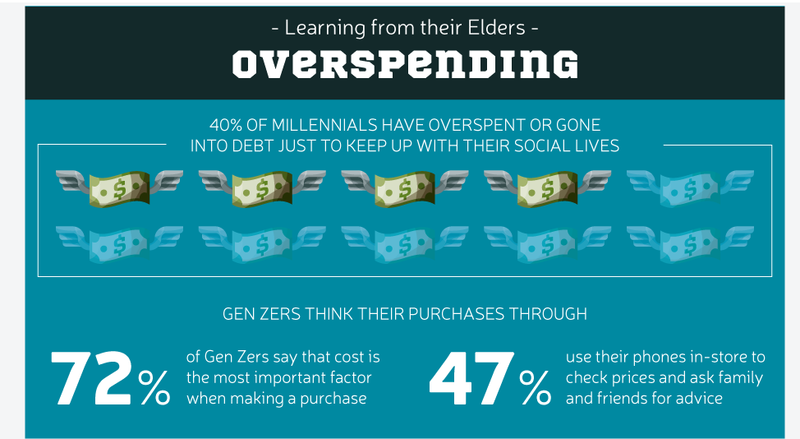 Today’s infographic comes to us from Rave Reviews and it shows how Gen Z is taking a more pragmatic approach to money. 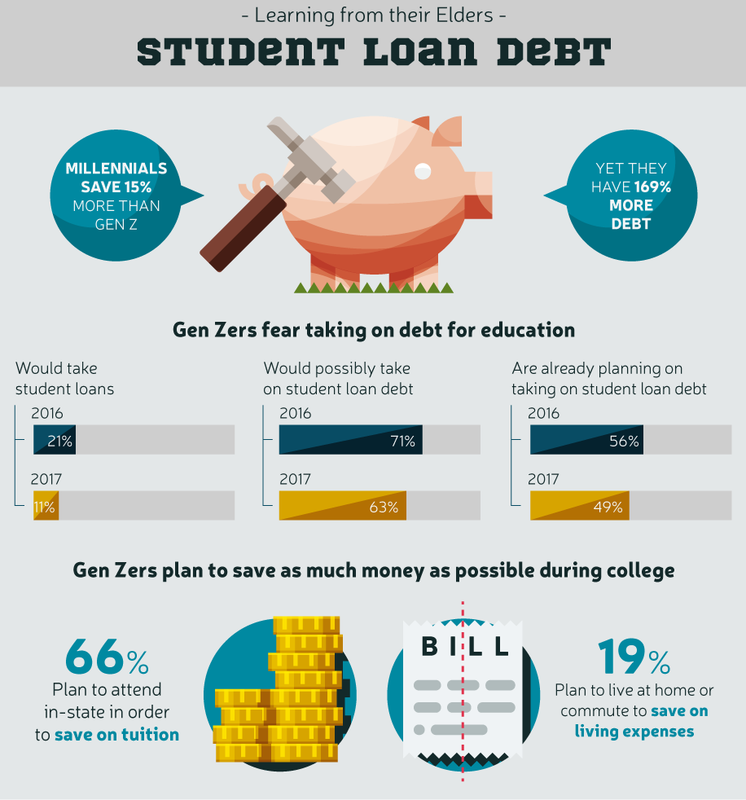 Gen Z saw some of their older friends take on massive amounts of debt, while also struggling to find well-paying jobs. As a result, this new generation (born 1997 and onwards) is taking a much more pragmatic approach to the world of personal finance. Gen Zers generally want to secure well-paying and stable jobs, and to grow their savings rather than spending money that they don’t have. 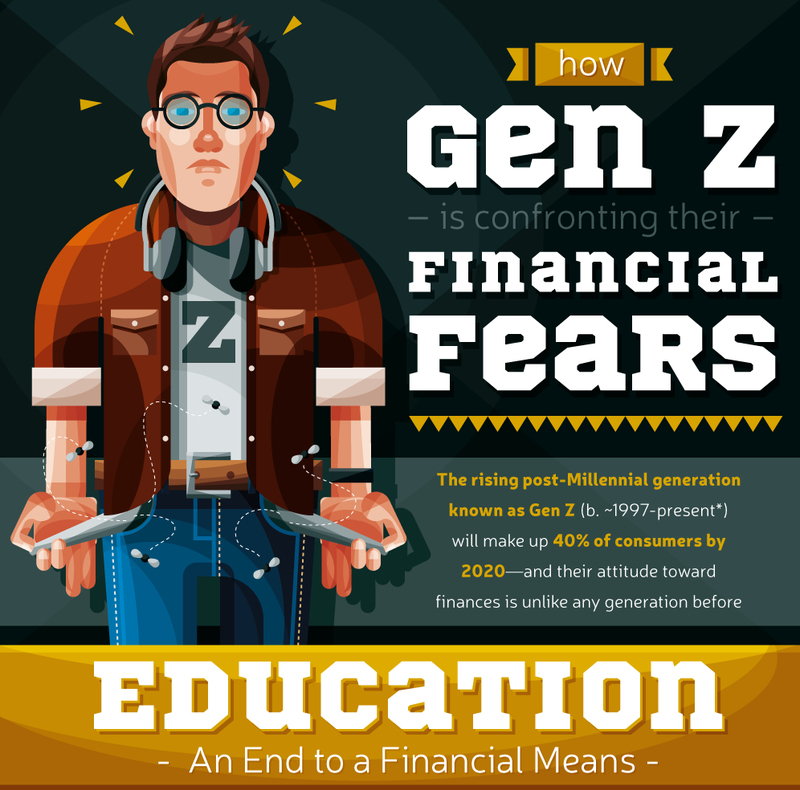 For Generation Z, an education is often seen as an end to a financial means. In other words, college is an opportunity to build a set of skills that will be valuable to employers, ensuring a stable career. 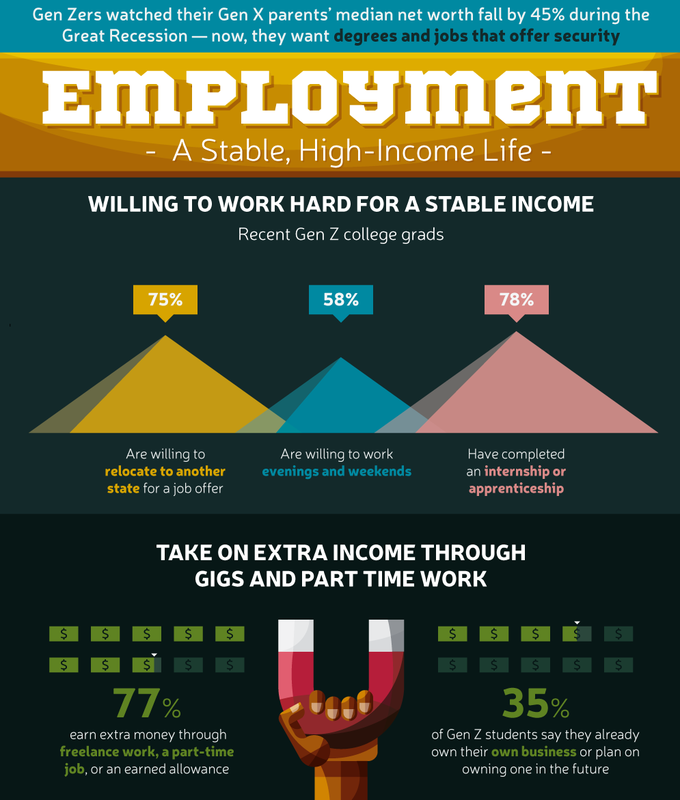 That’s why 88% of the first Gen Z grad class in 2017 ended up choosing their majors with job availability in mind. While the Gen Z outlook on school and work is a defining factor in their attitude towards personal finance, how they save and spend money is also making a difference. 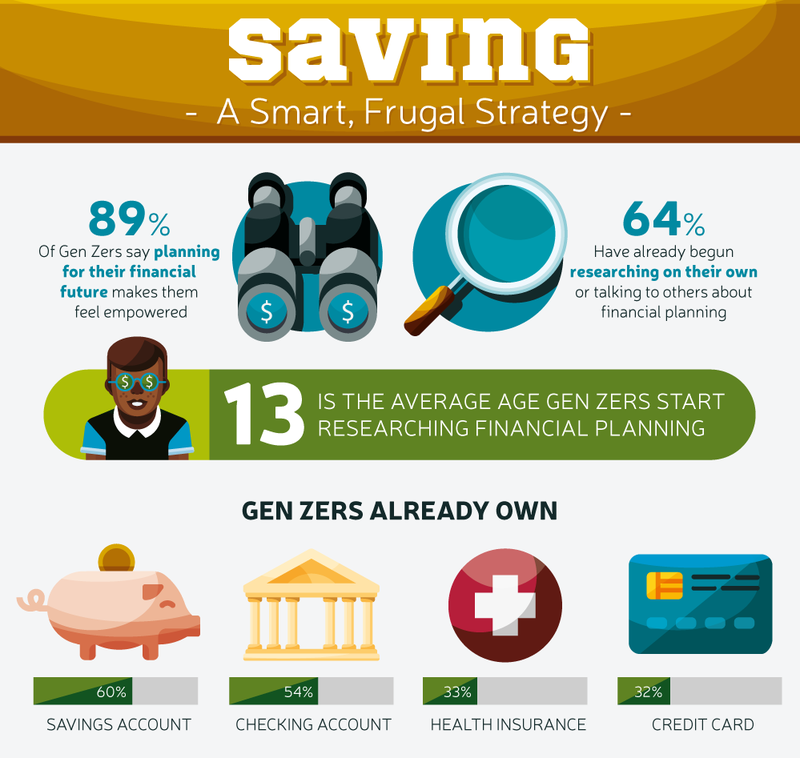 A whopping 89% of Gen Zers say planning for their financial future makes them feel empowered, while 64% have already begun researching the topic of financial planning. As Gen Z enters the professional workforce and starts investing their savings, it will be interesting to see what comes out of this frugal and practical approach to money.